Born the first month of the year, you get to start with a celebration of life. Ignore the dreary weather with a warm garnet as your birthstone! A somewhat under-appreciated jewel, garnets hold a mystery and allure all their own. 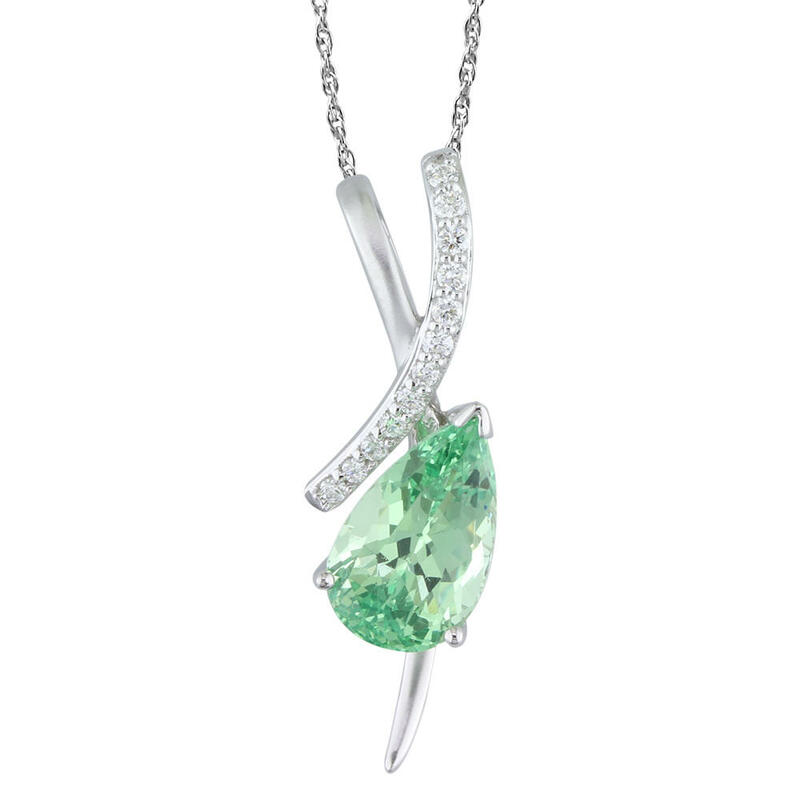 A group of closely related species, the garnet family of gems is vast and varied. 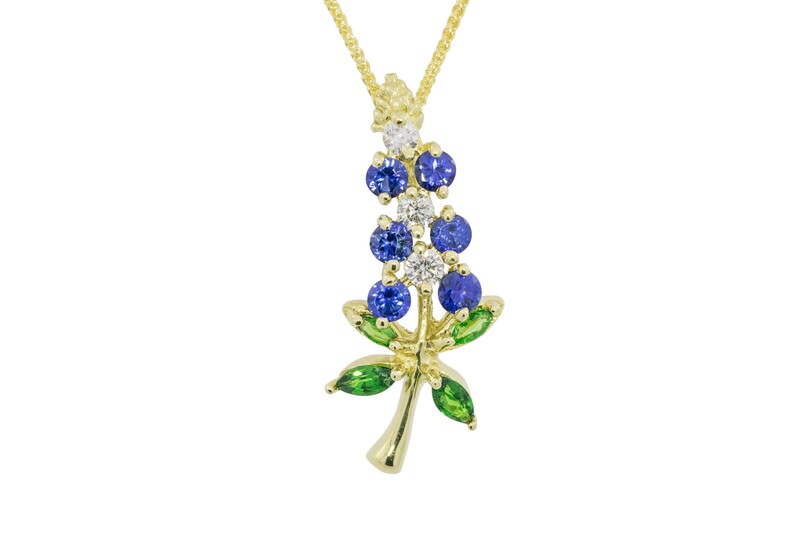 In fact, Garnets come in every shade BUT blue! 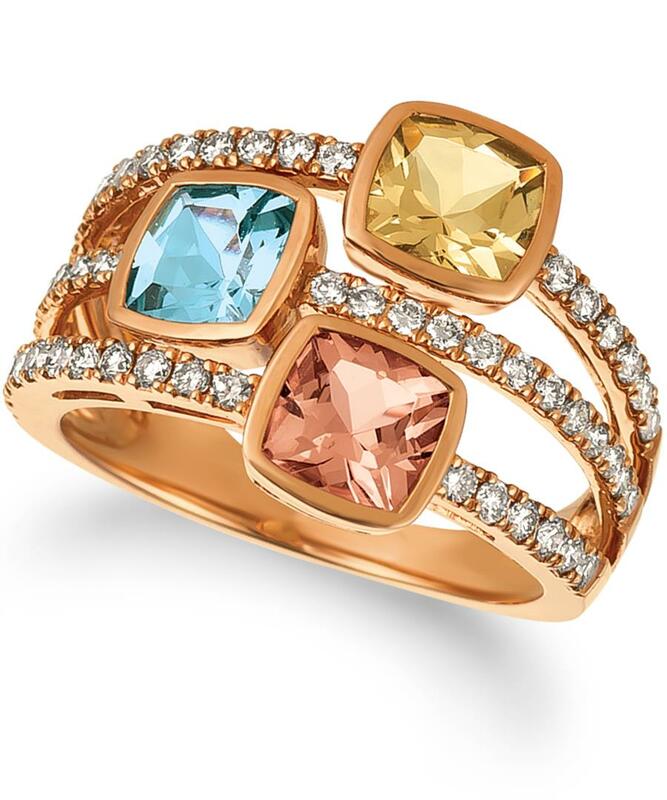 Garnets in a variety of colors by Underwood’s Fine Jewelry. 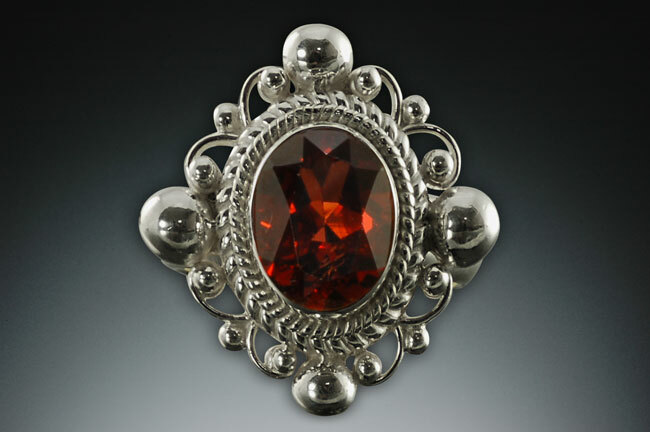 Throughout history, garnets have been known as stones of warmth, strength, and mystery. The most common color, a deep red, was popular in many cultures and used in a variety of items—not just jewelry. 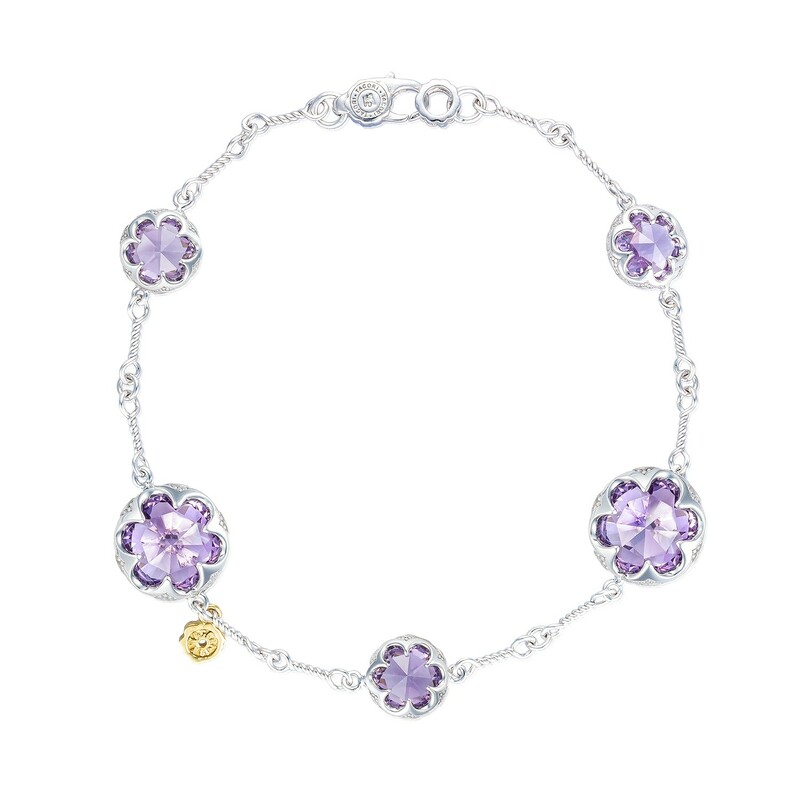 It was the most popular stone for adornment and inlays in the late Antique Roman period, and a strand of garnet beads was found in an Egyptian tomb dating back some 5,000 years. It was said to be a stone of valor, that wearing it as an amulet gave someone strength and enhanced bravery. It was also connected with love due to the color, and no surprise, it was associated with the element of fire. There is a legend that Noah didn’t use lanterns in the Ark—he hung garnets. They were said to glow due to their inner fire and throughout the entire voyage of the ark, stayed lit. In more modern times, garnets are associated with Capricorn, the zodiac sign, and are believed to help with strengthening both emotions and the physical. 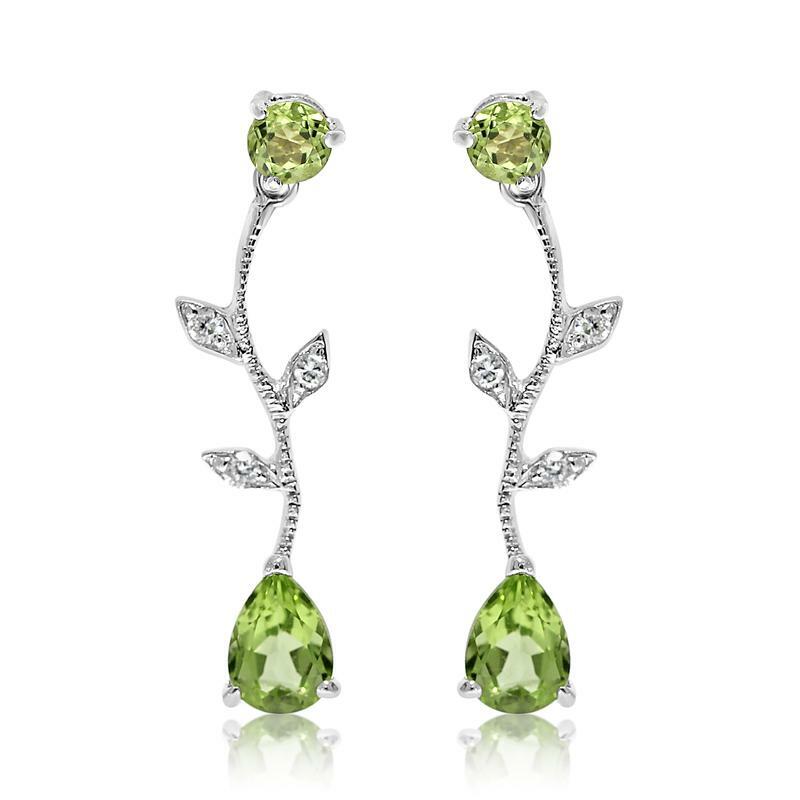 AG Gems designed these tsavorite garnet and spessartite garnet earrings that are surrounded by diamonds. 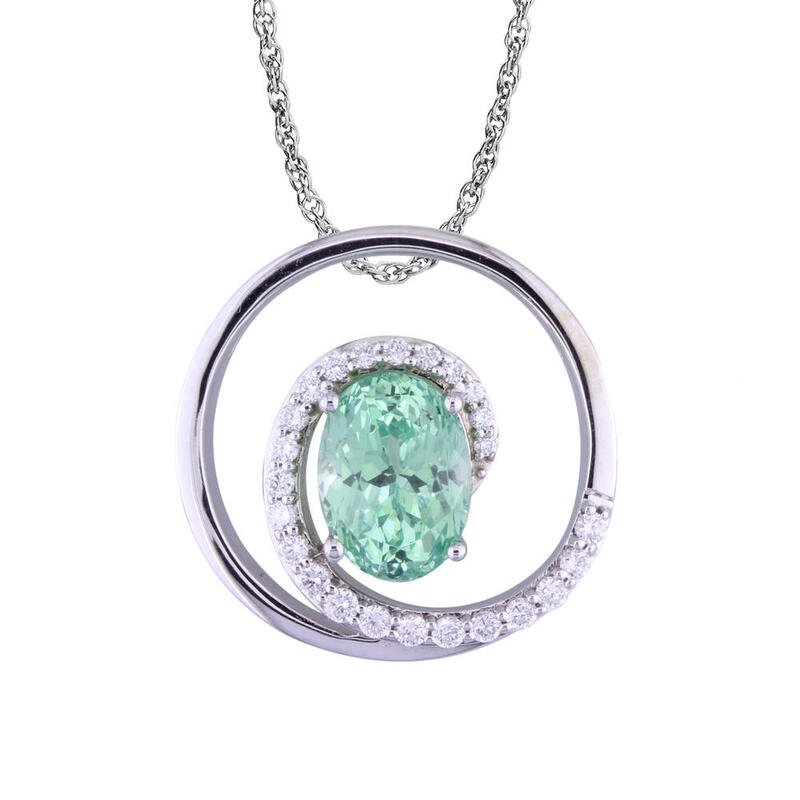 Mint garnet and diamond pendant by Parle. 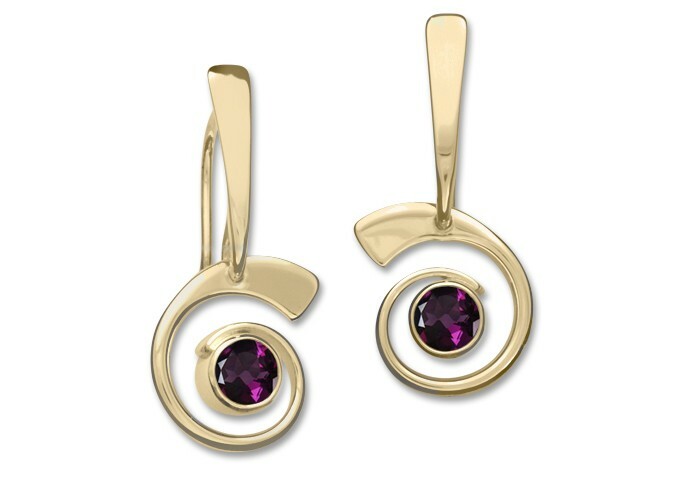 Nautilus Earrings by Ed Levin Jewelry featuring rhodolite garnet. Garnet and sterling silver ring by Michael Schofield & Co. 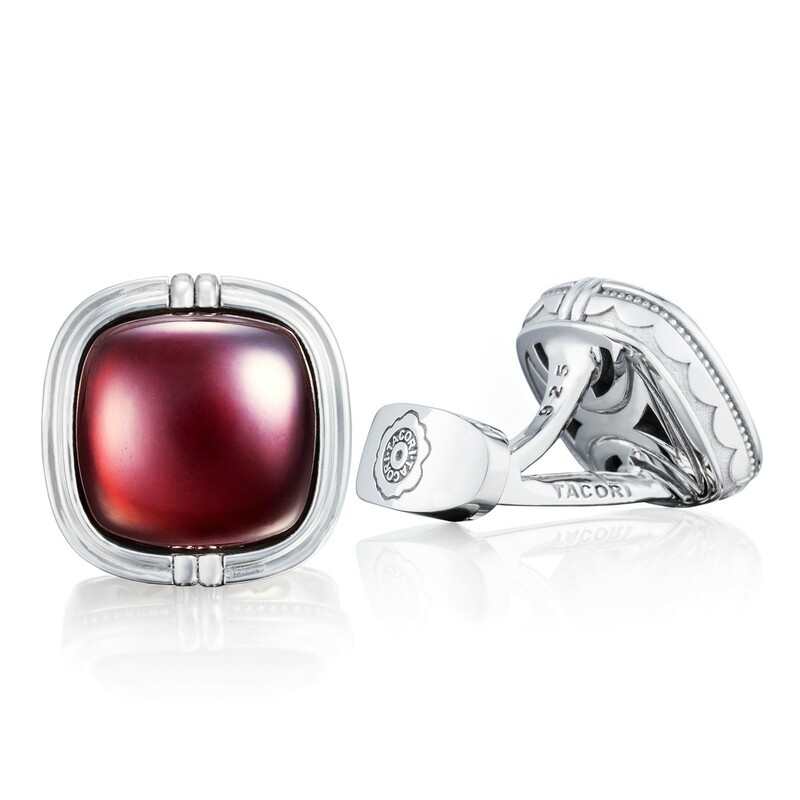 Cushion cabochon cuff links featuring garnet over moth of pearl, by Tacori. 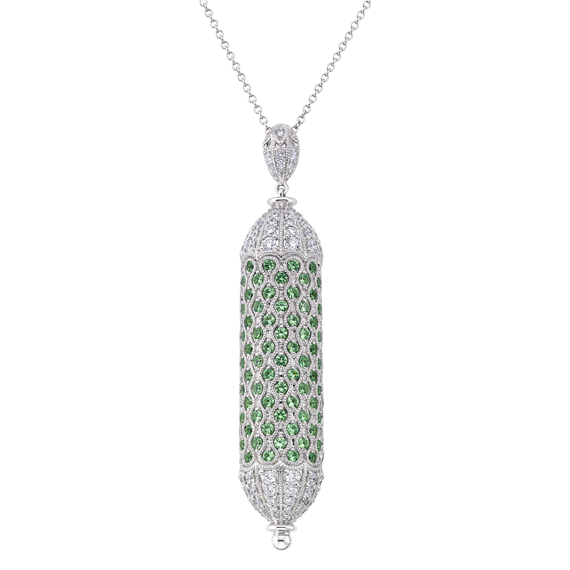 White gold, tsavorite, and diamond Boutique pendant by SHAH Luxury. In a more science-based outlook, garnets are used as abrasives in many fields. Garnets are one of the few gems that display their full, natural color; no treatments are done to enhance or alter them. 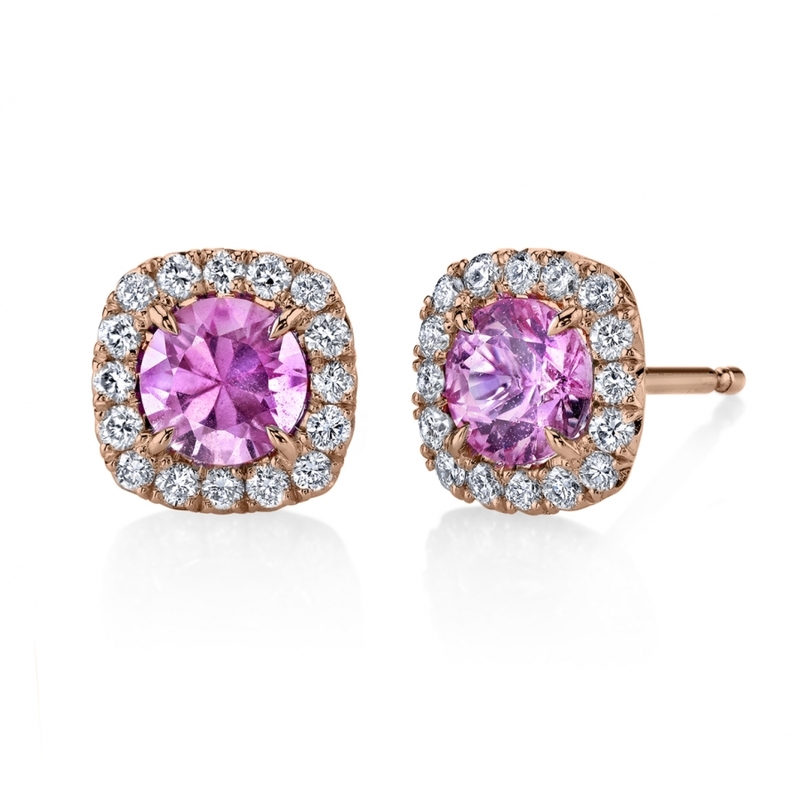 Depending upon the type of the garnet, they can be found in many locations around the globe. They usually form in a cubic structure, like squares piled on top of one another. Garnets are anything but plain or ordinary, and with a wide range of colors to choose from, there’s a member of the family that’s right for everyone. It shines on after years and carries with it ancient history. 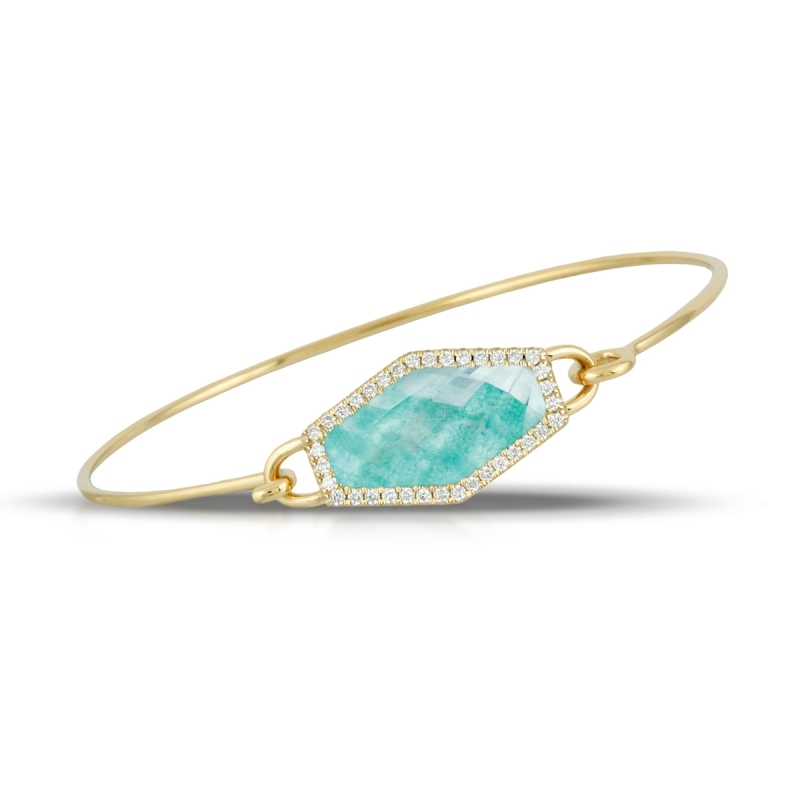 It’s a pretty bauble and a treasured talisman. 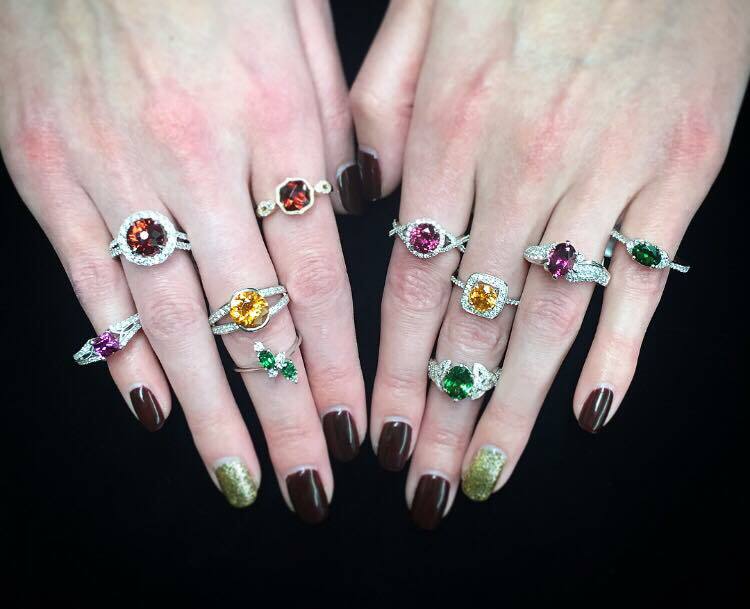 No matter how melancholy the weather may be this time of year, you can rest assure that a garnet will brighten up your day! 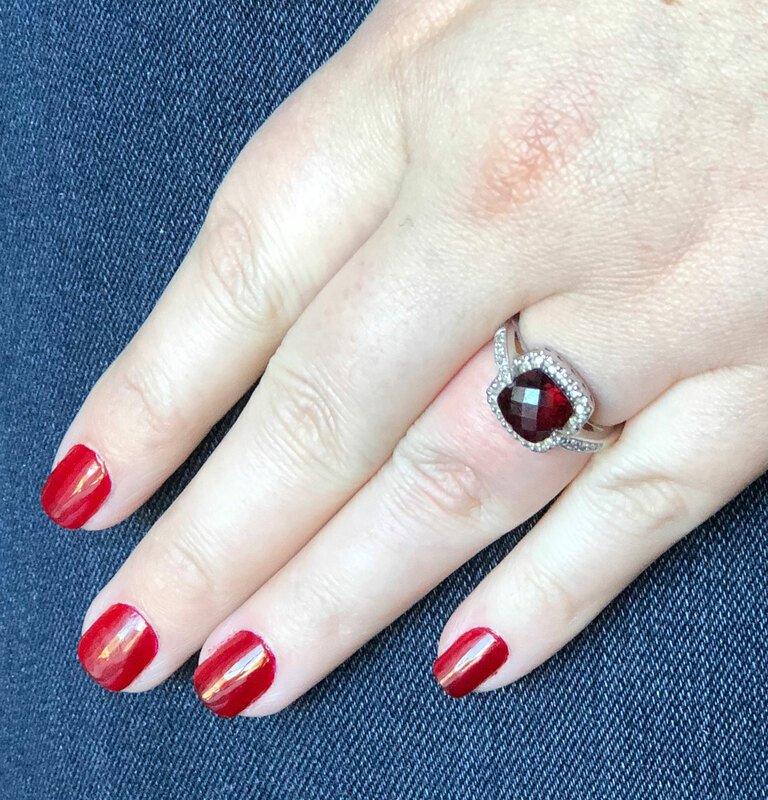 The American Gem Society’s Director of Marketing wanted to show off her favorite pieces of jewelry which happen to feature garnet! 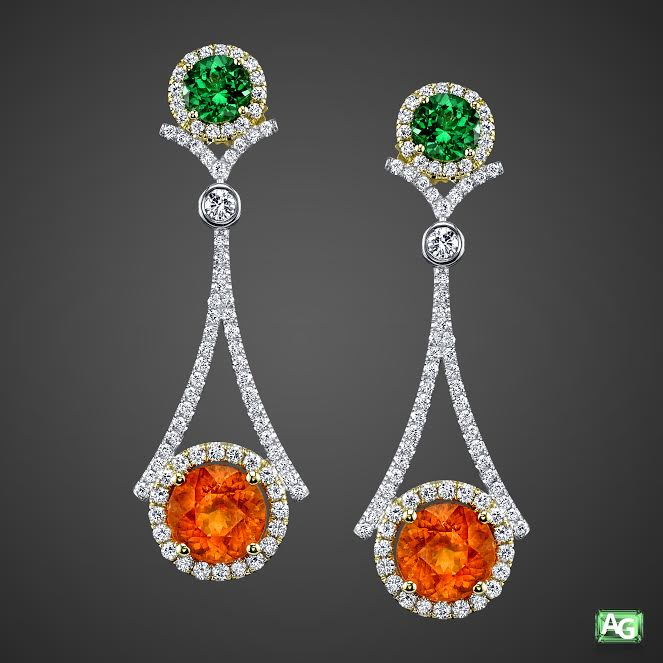 The earrings and ring were both designed by AGS member, M.J. Christensen. 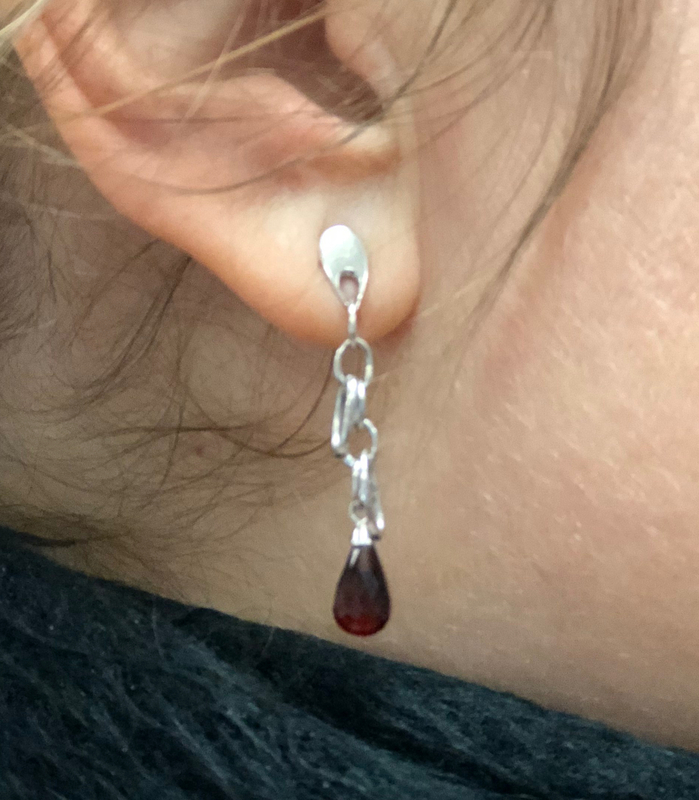 These garnet dangle earrings were designed by AGS member, M.J. Christensen. 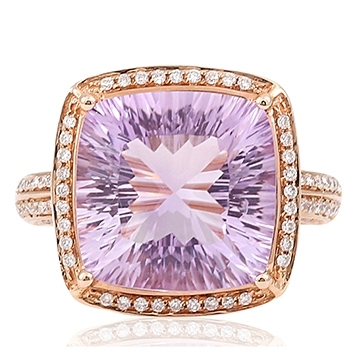 M.J. Christensen also designed this ring featuring a garnet and diamonds.